Properties (81mm, model 71 Y)<br> - Light mortar<br> - calibre 81mm<br> - Max. 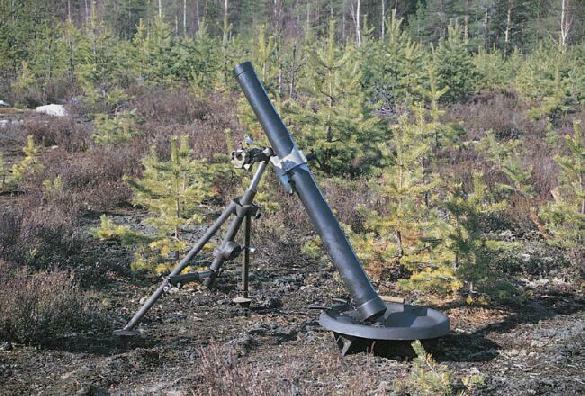 effective range 5.9km<br> - Firing rate 18-20 shots/min<br> - total weight 56kg<br> - made in Finland by Tampella<P> Finland has been active in the development of mortars right from the start. Although they have not been exported, the Tampella mortar is known as a basic construction in many countries.